Did I say pizza? I meant "picture". I've been away, but I have a note from my mum. I took a few photos today on a drive round neighbouring Bedfordshire to cover my indolence. 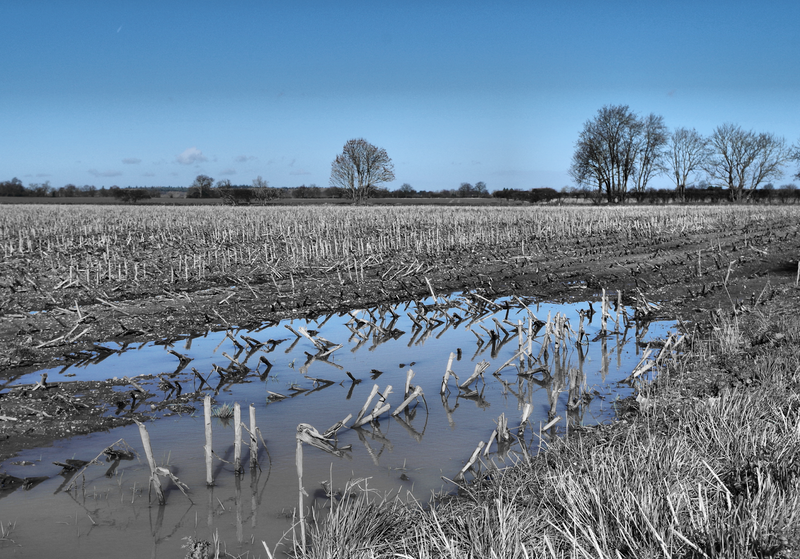 There's still a lot of standing water in the fields, tho Bedfordshire received hardly any compared to some of the western counties. So many are flooded, with no sign of it easing. It seems to be Spring, even tho my friends in the States are still up to their noses in snow. These lads are popping up everywhere. 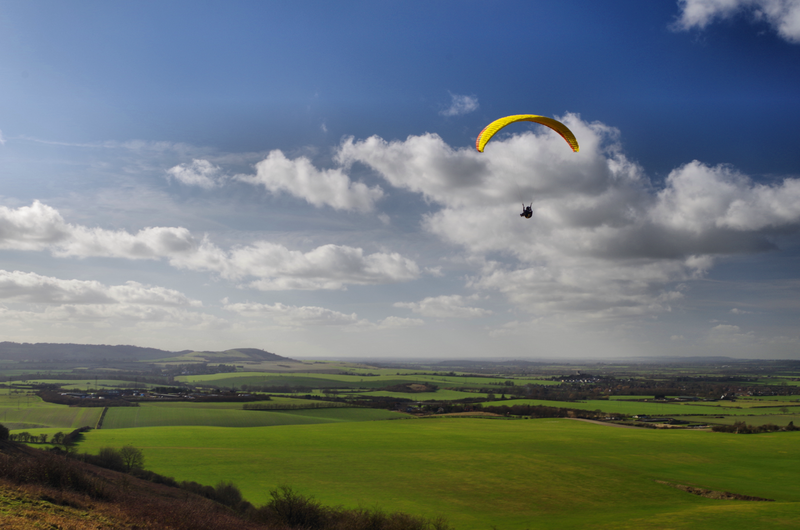 The view upwards from Dunstable Downs. Must be nice to be up there looking down, too. There were lots of these "sit down parachutes" being flown. Launched from the ground on an up-gust, they looked pretty amazing. 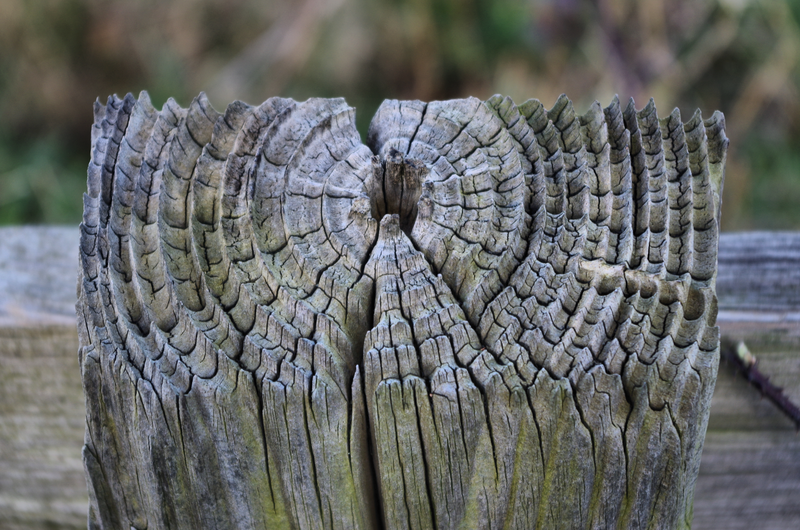 Not a glamorous subject material, your average fence post. But hey, this one was pretty cool. It's a boat in a field. Yes, it defies deconstruction. It involved a twenty mile round-trip after I saw this at high speed from the car, and a small amount of harmless trespass, but I had to get this shot. 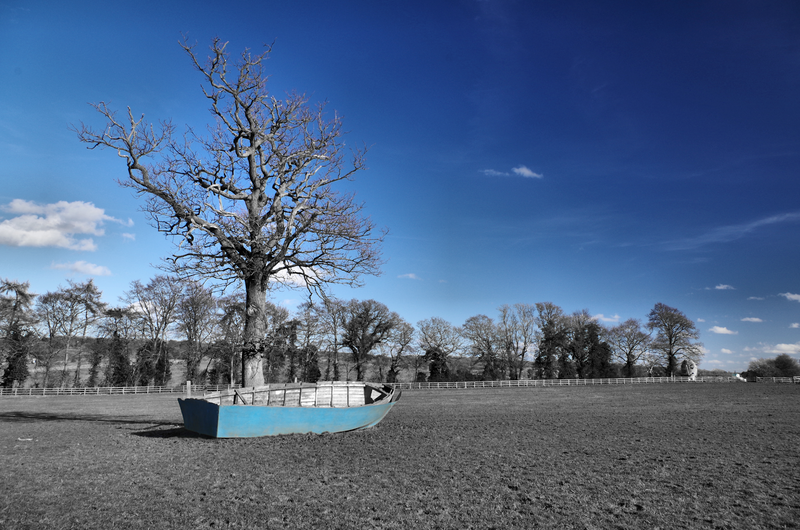 That boat parked under the tree in a field looks like it belongs in your book. Did you check for engineer badgers? From what I've read, that sucker is going to be floating in another month or two. I did wonder if that's how it got there in the first place Murr. It's been rough here. You have snow, we have water. I appreciate your dedication to blogging in going back for that photo. 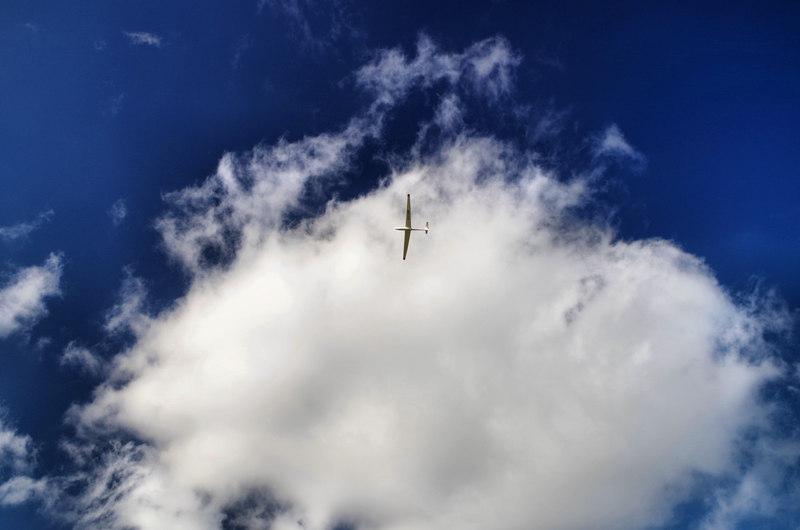 Superb - but if forced to pick, the paraglider is my choice; composition and that slice of yellow against the blue. 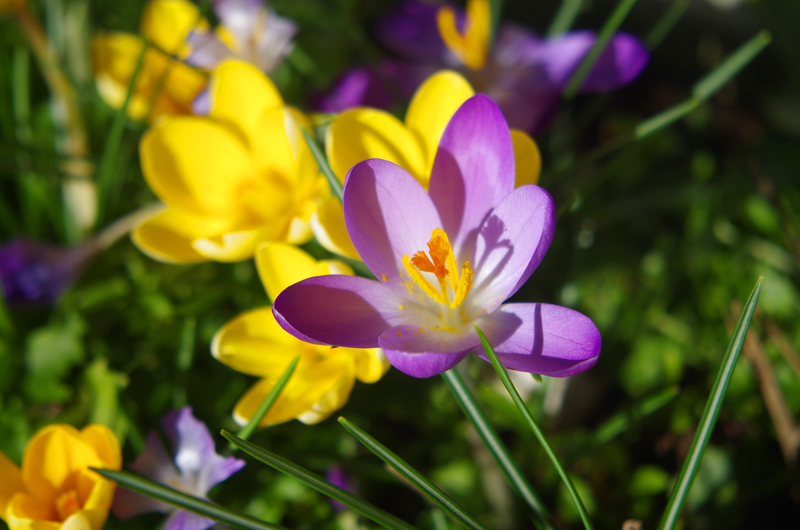 I love the purple and yellow flowers. 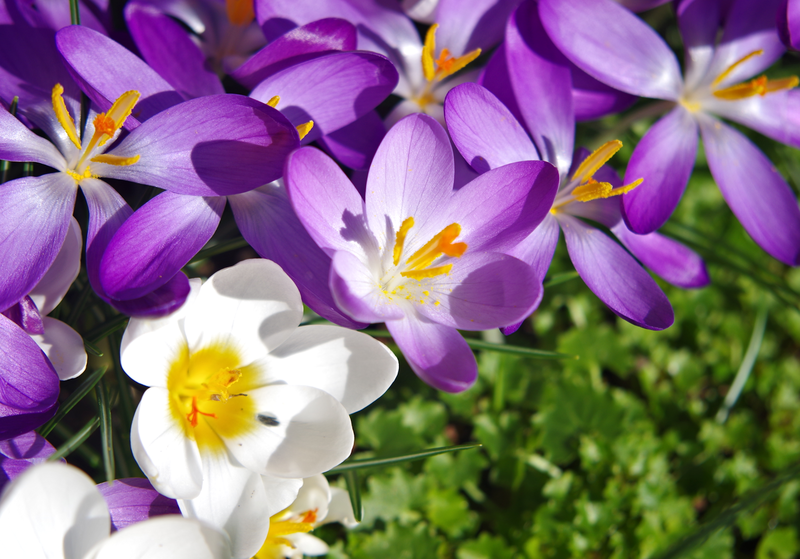 It's almost spring here, but unlikely we will get many wild flowers this year in California due to our drought. I'll just have to enjoy yours. We are at least two months from any bulb production here. Lovely shots; especially like the fence post. The texture you've caught is wonderful. Hi Indigo :-) I was shocked to see that you weren't part of the We Work For Cheese writing challenge this month. Hope all is well. Nice photos, I like the isolated blue one best! Lovely pizza! Sorry!! Photos. Lovely photos! I know. I know. I'm a bit late. Get over it. Oh my word! Those photos of the flowers are absolutely STUNNING.